I’m not gonna lie: I was nervous to travel to New Zealand. Not because of any inherent threats — it’s one of the safest countries for women to travel in, and has no dangerous wildlife — but because of the cost. I’m able to travel so much because I visit cheap destinations: countries where beers are a dollar and accommodations are no more than $20/night. But I knew I had to get there as part of my quest to visit every continent before turning 30. I don’t have a strong desire to visit Australia, and besides, it’s even more expensive than NZ. So the cost of traveling there was something I was willing to bear. I saved for my trip for an entire year — and even had to postpone it once due to some unexpected medical bills. As I’ve said before, in this career and in life, you have to be prepared to take steps forward and steps back; it’s all a part of the game. When my trip finally arrived, I was ready. I had saved $3,500, or about $300/month. My goal was to spend no more than $2,000 during three weeks in New Zealand, and another $1,000 during my two weeks in Singapore and Indonesia. The extra $500 was an emergency cushion — I always recommend that travelers take at least an extra 10 percent to account for emergencies. 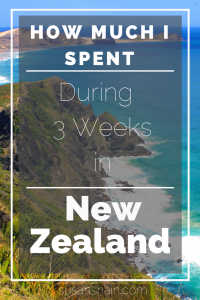 For this post, however, I won’t go into my spending in Asia; I’ll simply take a toll of how much I spent during three weeks in New Zealand. Note the costs are in New Zealand dollars, though I’ll convert to USD at the end. For most people, this is going to be the biggest budget item, since NZ is so isolated. Luckily, I’d racked up enough frequent flyer miles to pay for my flight. I’m a huge fan of the Chase Sapphire Preferred card, which has a 40,000-point sign-up bonus and earns 2X miles/dollar on travel and dining — two of my biggest expenses. UPDATE: I’ve switched to the Chase Sapphire Reserve, and couldn’t be happier! I cashed in 80,000 Chase Ultimate Rewards points on United, which got me the following flight: Los Angeles – Queenstown – Auckland – Singapore – Los Angeles. For spending three weeks in the country, my lodging expenses were pretty low. That’s because I was lucky to have friends who live in New Zealand. I stayed with them in their van and with their friends for approximately six nights, which saved me a whole lot in lodging. On average, hostels (shared room and facilities) cost about $30 NZ per night. HostelWorld: The king of hostel search engines, and for good reason. It’s got everything! Booking.com: When I don’t want to stay at a hostel, this is where I turn. It has by far the best selection of budget accommodation of any hotel booking site. You can easily spend a fortune on activities in New Zealand. There are a million things to do, and few of them are cheap — especially if you’re into adrenaline-pumping activities like bungee jumping and skydiving. I can think of about 10,000 other things I’d rather spend my money on — a trip to the dentist included. (Paragliding in Colombia was scary enough!) Since I’m an outdoors lover, I preferred to spend my time in nature, which has the added bonus of being free. My big expenses here included a cruise through Milford Sound and swimming with wild dolphins in Kaikoura (omg omg omg) — both of which were totally worth it. I’m categorizing these together, since they’re all related. Eating out is expensive in New Zealand, so I didn’t do much of it; I pretty much only ate at restaurants when I was with friends. That being said, I did splurge on a fancy solo dinner in Wellington and ended up meeting some cool people at the bar — so don’t let traveling solo mean you never eat out. I cooked most of my meals: oatmeal, cereal, or eggs for breakfast; sandwiches for lunch; fruit and nuts for snacks; and pasta or stir-fry for dinner. As you can see, I didn’t spend much on food for three weeks, despite often having to buy from smaller touristy grocery stores — but those few meals I ate out really added up. Drinks at the bar weren’t outrageous; I generally paid $6 for a vodka/soda or glass of wine. Bonus: Wine is delish in NZ, so even the house wines are a good choice. Remember that scene from Clueless, where Dion gets on the highway and absolutely loses it? That’s me. Instead, I opted for a bus pass through nakedBus, and I’m so glad I did! I got a 10-ride nakedpassport that cost $254 NZ. I used it to get around both the South and North islands and found it to be easy and convenient. I loved that I only had to book a day ahead of time, and that I could do it all online (no need to print out tickets or anything archaic like that). Sure, you can’t get onto the more remote roads, but it’s a great option for those of us who don’t like driving. 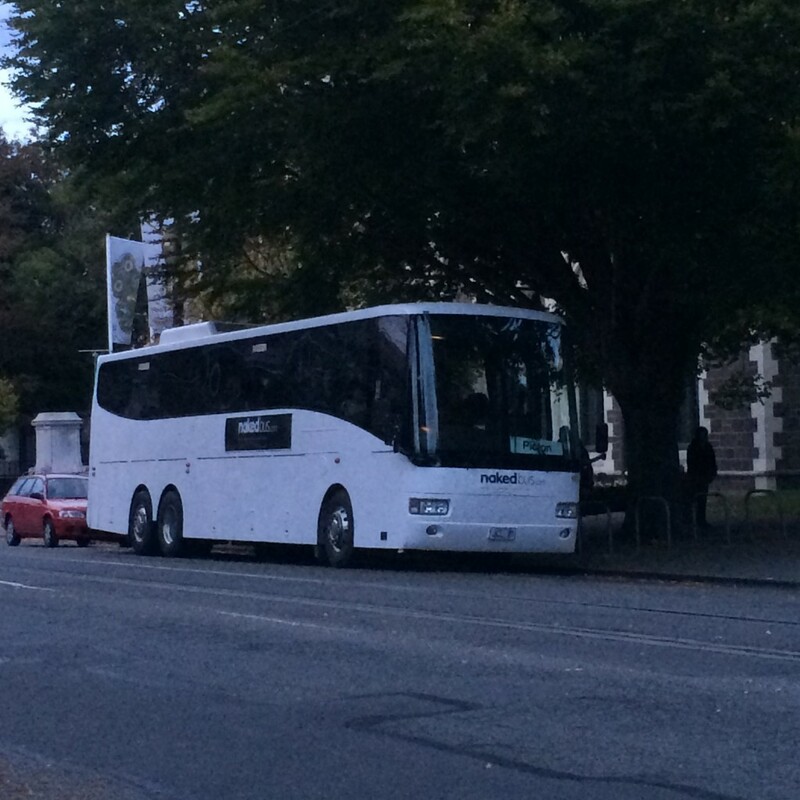 There are other companies — like Stray and Kiwi Experience — that do hop-on/hop-off bus tours, but they kind of sounded like massive incestuous orgies that I would’ve loved at 22, but felt a little too old for at 28. This category accounts for things like postcards, sunblock, and gifts. I don’t do a lot of shopping when I travel (or ever, actually — much to the chagrin of my stylish mother), but postcards can get expensive! So, in total, what did I spend? $2,038 NZ. With the conversion rate during my trip, that amounted to $1,424 US, or $68/day. Woohoo! I totally stayed under my budget of $2,000, which is always a great feeling. If you don’t have friends in New Zealand, have more adventure activities planned, don’t like to cook, or want to rent a car, then you should probably boost this daily budget to $80-100 US per day. To lower your costs, you could avoid drinking or eating out entirely, bring a tent and camp, or rely on Couchsurfing for lodging. New Zealand is expensive, but worth it. It’s the most beautiful country I’ve ever been to, and I urge everyone to visit at least once. If you estimate you’ll spend $1,400 on a flight, you could have a three-week dream vacation in NZ for around $3,000. If you can use a credit card responsibly and sign up for a card like the Chase Sapphire Reserve, you could divide that number in half. Whatever your dream trip is, make it a reality by starting to save today. Wanna take a trip like mine? Save $250/month, or $65/week. To help me save money without thinking about it, I’m a huge fan of Digit. It connects to your bank account and uses some sort of magic algorithm to determine how much money it can safely withdraw into a separate savings account. Or, set up a weekly transfer from your checking account to a dedicated savings account; you probably won’t even miss it. Just think: By this time next year, you could be in New Zealand! Have you visited New Zealand? How did you stick to a budget? This post contains affiliate links, meaning if you purchase the products, I earn a small commission — at no extra cost to you. These are all products I use and love; I wouldn’t recommend them otherwise. Click here to read my full disclosure. Thanks for your support! sound a bit crazy for me. I’d rent a camper, but I really don’t enjoy driving on left side of road. I enjoy being with younger people. Whats your honest opinion? Thanks. YOU SWAM WITH DOLPHINS?!?!? Omg please please please do a post on that or share more information about it. It’s always been one of my biggest dreams to swim with dolphins in the wild. I’m going to New Zealand in November so thanks for the tips, I’m hoping to not have to sell my soul to afford it all! I went to New Zealand in 2013 for two weeks with my husband. Our total cost was $7,000 which was airfare (from MN) and renting a campervan (Wicked Vans) which took up about $5,000 of $7,000. The insurance for the van, as I recall, was very expensive and didn’t cover anything! Seriously. The total cost for us is very close to your estimates (considering we had two people). And I believe NZ had a strong currency at that time. 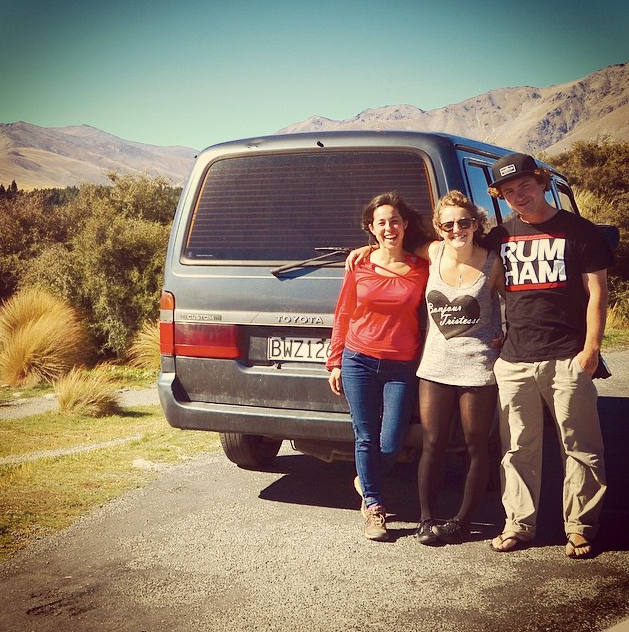 We traveled the southern part of the South Island – had to pay for campgrounds but mostly made meals at our campsite (I think we ate out 2 times). We did a lot of hiking and my husband went fishing. Seeing your photos brings back fond memories and I would recommend NZ as well. We have not been to Australia but for those who have been to both, they always say NZ was more impressive. 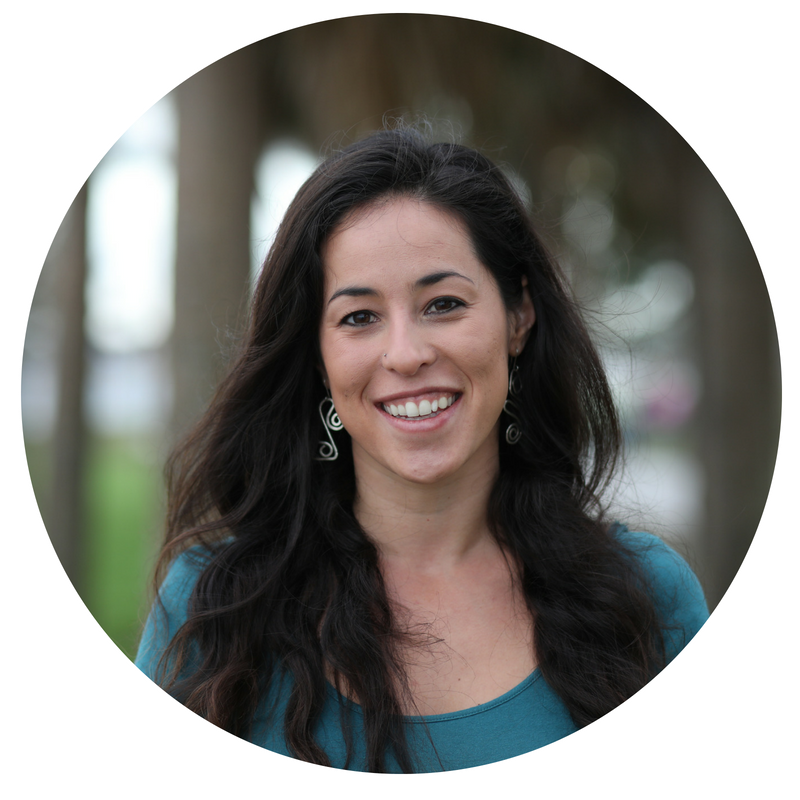 Susan, I really loved reading this blog post. Especially because of the saving money aspects of it. When I was first reading this I thought, well this doesn’t really apply to me because I don’t have friends to stay with to help save me money, etc. So what about older folks like me? 55 yr old , wife is 59. We like the outdoors and would probably camp. But may want to stay in hotel for night or 2. What is best time of year to visit? And what kind of shape physically should you be in for this type of trip? Hi Brian, I think our springtime (their fall) is the best time to visit, but it probably depends on your preferences. As long as you guys are in reasonably good shape (walking for long periods) you’ll probably enjoy it. If you can hike for extended periods of time, even better. Nelson is my home town. It is a lovely city to visit. I’m probably biased about Auckland but it’s really just a big city with lots of people and not somewhere I recommend people visit. Hi Wendy! I have a few other articles about New Zealand, so check those out for more information. 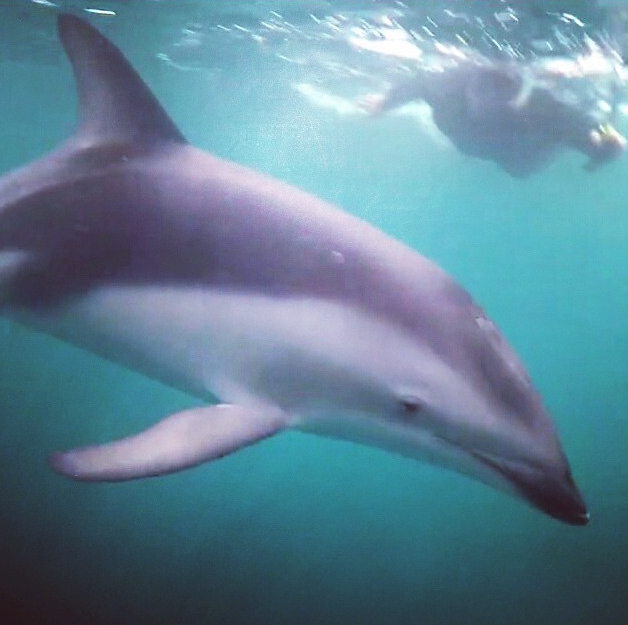 Encounter Kaikoura was the company I used for my dolphin swim. 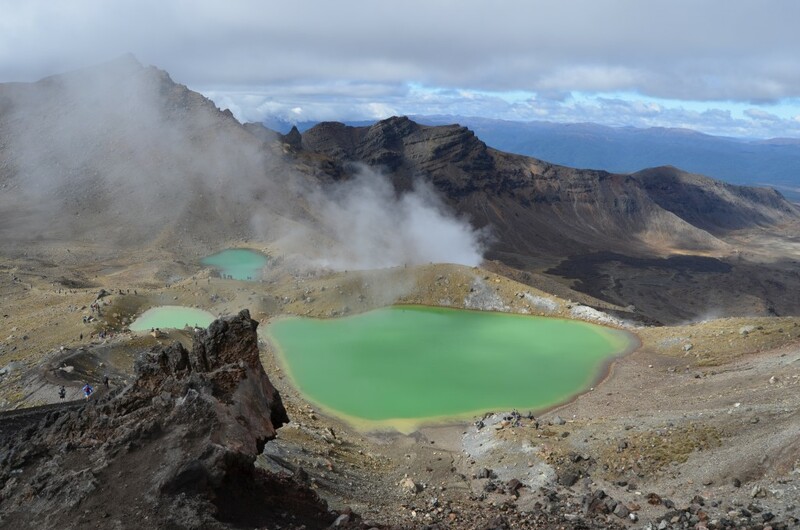 I also loved two hikes: the Kepler Trek and the Tongariro Crossing. I’ll try to write a longer guide at some point. Thank you for this wonderful article! I am thinking about going myself, however I have 3 children I would love to bring with, ages 11, 13, & 15. Are there any specific ideas you have for their entertainment? Or, perhaps, ate their any cautions you could give me? Are you planning on taking your kids walking in any of the National Parks? If so I can recommend the Abel Tasman near Nelson (top of the South Island). I did the walk when I was about 8 and I loved it. It is possible to get the boat in and ‘just’ walk out. There is lots of information on the Department of Conservation (aka DOC) website http://www.doc.govt.nz/. Really good post. Seriously I was born and raised in NZ and funnily enough I have not seen much of NZ hahah. So now at 23 Me and my Girlfriend are planning to Road trip all of NZ to finally see the country I grew up in. Love your advice and tips about budgeting this will really help me out on figuring out how much we need to save. Thanks for the post keep it up . Thanks, Susan. This was very helpful. Partner and i will be going in March 2018, South. For a family adventure of a lifetime, North Island New Zealand is a destination that you must visit. From forests to caves, from beaches to snow-capped mountains, impressive scenery and geysers, the North Island has so much to offer families. I’m a 19 year old backpacker and this can be done for much less if you’re willing to sacrifice some comfort. From the beginning of September 2017 to Christmas time ( 4 months) I spent a total of $1,350 NZD not including flights from the US. It’s called wwoofing, Couchsurfing, hitchhiking, and being creative in general. I generally avoid ATM because of the fees and the unfavourable rate at the exchange offices. Just discovered a new mobile app for my next trip Fairswap. It allows to exchange cash currency in real-time by meeting with each other at a pre-agreed location. Widely, you can post your need in foreign currency and if there is someone nearby facing the reverse need, then he can contact you and you will meet him and make the swap. Look up Revolut, it’s the best fee free card. I’ve used it since I was 19, now 24, and im currently 7 months into my trip. It’s saved me both loads of money and hassle. This app you’re looking at using still sounds like it could create a lot of hassle if you don’t find others using the app or even others looking to swap currency. Hi, I am planning a trip to New Zealand next year. Your blog is very helpful to plan budget. Could you also mention your itinerary for your travel that would be helpful. 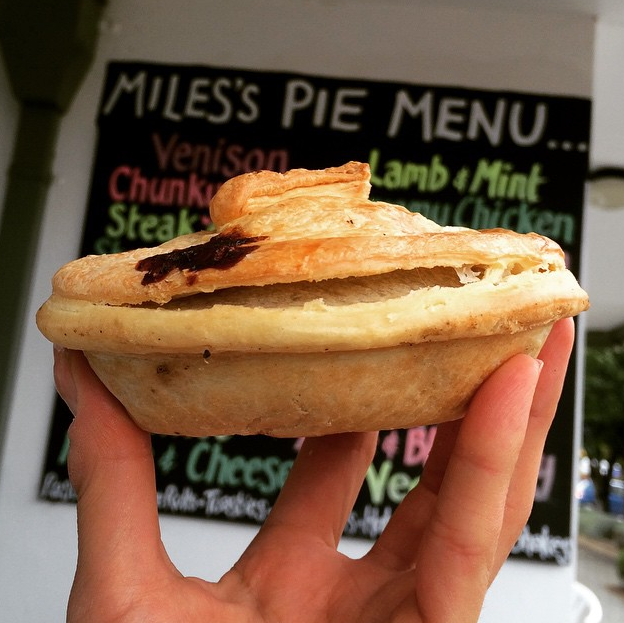 Thanks so much for your article, Susan! SUPERB! My partner and I will be arriving in Christchurch on April 17, 2019 and traveling and lots of hiking till we drop tillMay 11th. We plan on staying at AIRBNBs and renting a car. So, dear Susan, do you have recommendations of 3 possibly 4 towns we should so called base-camp ( staying at airbnb ) from and then do our hikes? 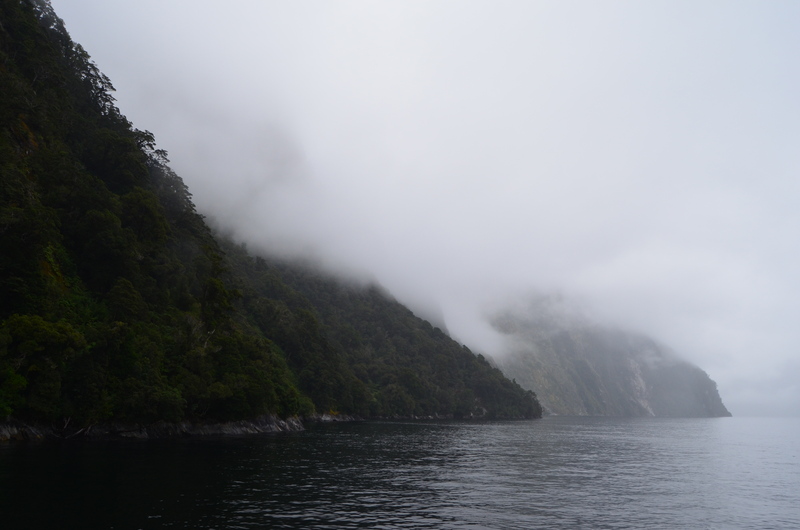 For sure, we will explore Milford Sound and Fox Glacier, also drawn to Kaikoura ( your recomendation ). Feeling overwhelmed with what towns / areas to focus on. Thanks so much for any help. You’re welcome, Hamsa! I emailed you with more info. Thanks for sharing wonderful post with us. I really liked your post.